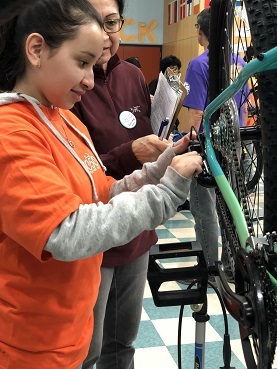 Boxes of unassembled parts have been transformed into brand-new bicycles, and are now in the hands of enthusiastic and inspiring North Natomas youth. 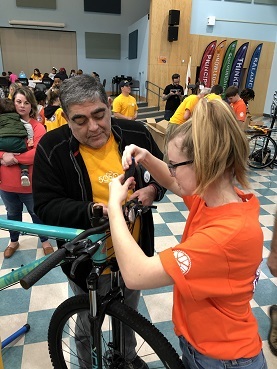 50 Bikes for 50 Kids 2019 was another successful exhibition of volunteerism, community, and character. 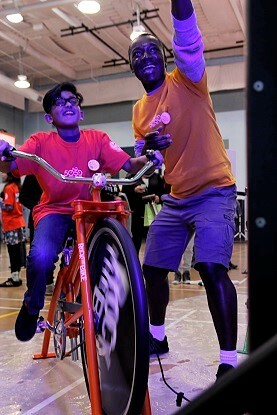 The day celebrated an atmosphere of learning to foster a life-long love for bicycles. We'd like to extend a huge thank you to the businesses, organizations, and individuals that made this possible. A special thank you to the Natomas Bike Shop for supporting our event again this year. Each year, John Buchanan and his staff provides invaluable support for this day to happen. The shop leverages its strong industry relationships to enable us to provide high-quality bicycles at a reduced cost, NBS mechanics attend the event to oversee the building process, and Scott Meyer leads the volunteer trainings prior to the event. 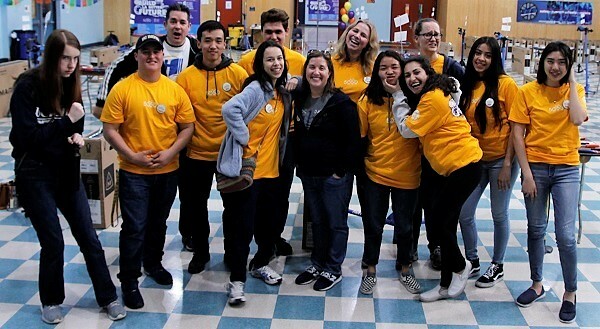 With a total of 747 volunteer hours, our community has helped youth build confidence, a community-minded mentality, and a new way to embark on their path to independence. North Natomas Jibe would like to thank all the businesses, organizations, and individuals that donated to 50 Bikes for 50 Kids. 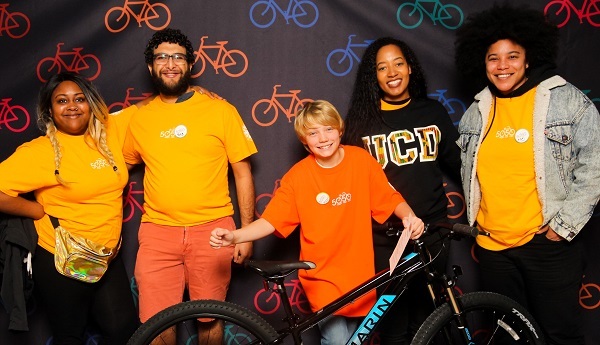 Thanks to their donations, kids not only received a great new bicycle, but an experience that is sure to have a positive influence on their lives from this day forward. Congratulations to the Bike Recipients! 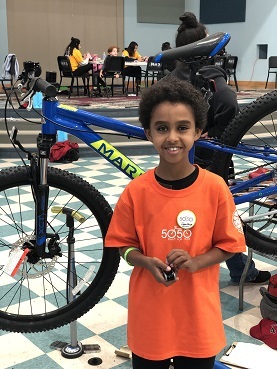 The bike recipients were nominated by community members based on their demonstration of the following character traits: trustworthiness, respect, responsibility, fairness, caring, and citizenship. A volunteer committee read and reviewed many, many nominations to select the fifty local kids. A special thank you to those that took time to nominate kids in North Natomas for this recognition. 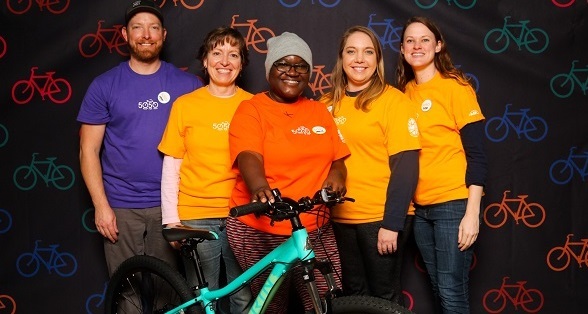 Meet this year's bike recipients. 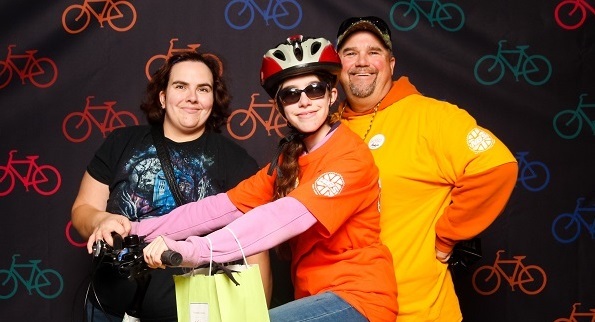 Thanks to our volunteer photographers, there are many great pictures showcasing our wonderful volunteers and bike recipients in all their enthusiastic glory. Check them out and share your favorites! Bikes can be used for so many things - transportation, recreation, exercise - but did you know they can also make smoothies and generate power? This year's event featured two Rock The Bike set-ups. One blended delicious smoothies when pedaled; a big thank you to the Natomas Unified School District for loaning it to us for this event. The other bike, a sLEDgehammer, was an interactive game, reminiscent of the classic carnival game. Here, pedalers tried to generate enough power to light up the top of the tower. Both were a big hit and used the power of the pedal to create tons of fun. Have an idea on how we can make this event even better? Want to share a few kind words for the mechanics or donors? Already completed a survey, but thought of something later? Here's your chance to chime in! Please, take a moment to complete this survey. Having trouble reading this? We might just have your glasses. If you are missing a pair, email Abbey@jibe.org with a description and we'll get them back to you.